﻿ A band with a name like Toothgrinder really does warm the rock ‘n’ roll soul. For as above their station as so many acts want to appear, here’s a New Jersey quintet more than content with letting everyone know that they’re here to deliver a thick dose of heaviness, and yet on their debut Nocturnal Masquerade, they still managed while going above and beyond any typical expectations. For a fusion of hard rock, prog and metalcore, it was a remarkably tight album that might’ve called back to numerous other acts, but was a decidedly unique proposition as a whole. It’s honestly amazing that Toothgrinder didn’t pick up more steam from it; it may not have been the exact thing that early 2016 was fixated with, but it wasn’t exactly inaccessible either, and in a more musically inclusive environment that 2017 has become, there’s a place for Toothgrinder to fit in. It’s a good thing that they’ve managed to hit the ground running once again with Phantom Amour then. This sophomore album sees the band ironing out what they offered on their debut even further, paring back a lot of the more overtly heavy and metalcore-inspired elements to garnish more than anything, and instead inflates their more expansive, often softer tendencies. It may be less immediate of a listen, but Toothgrinder are plenty capable of holding interest by any means necessary. And besides, it’s not as if the heft has been done away with entirely, and repurposing it gives a greatly different perspective to how this band works. Tracks like The Shadow and Pietà might largely be propelled by Justin Matthews’ screams, but more often than not, Phantom Amour finds itself indulging in its more experimental, progressive side, like the electronic buzzes around the edges of HVY, or the blissed-out atmospherics of Snow. What’s more, there’s still enough of a hard rock edge to satisfy the need for something more adrenalised; this is by no means Toothgrinder limiting themselves or shunning their own take on hard rock. The likes of Red and Vagabond excellently bridge the gap between two very distinct styles, making sure that edge remains in the equation (see the garbled cleans of the former), but in a setting that has Toothgrinder embracing their most anthemic side. It might be a stretch to predict any sort of radio-rock crossover – Toothgrinder are still too weird of an act to really pull that sort of audience, even in their most straightforward form – but as far as newer addition to mainstream metal that could serve as a legitimate conduit between the old-school and today, Phantom Amour has the potential. And really, having a band like Toothgrinder making waves in the public eye would be amazing to see. This is a band who do progressive music with the intensity and punch it’s so often not given the credit for, and even though Phantom Amour can lean on that a bit too much, that’s a minor complaint overall. This is easily a great album, the kind that likely won’t get the media attention it deserves (same as the first), but offers such an exciting alternative to the norm that really does stick. Toothgrinder deserve every bit of success they can get; hopefully Phantom Amour can give them plenty. 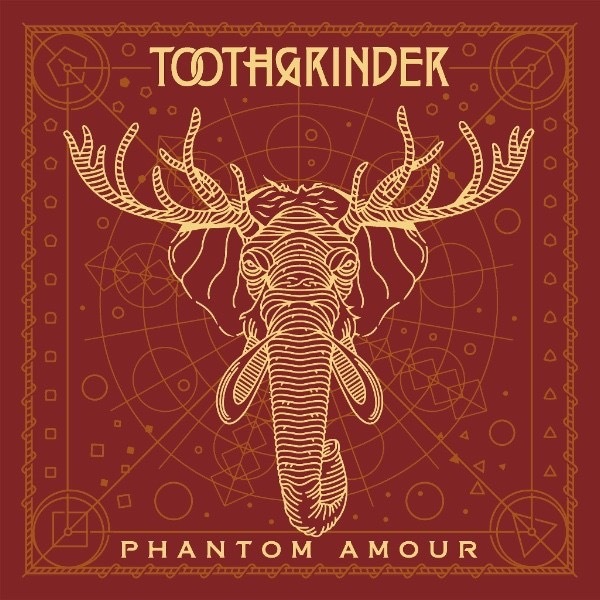 ‘Phantom Amour’ by Toothgrinder is released on 10th November on Spinefarm Records.